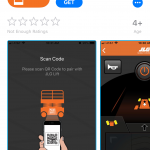 JLG announced that they will be expanding their SmartLoad technology across their telehandler line, which is terrific news. As you know, operator competence and confidence are key to job-site safety, and JLG is leading the way when it comes to operator safety. 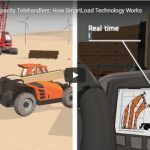 Their industry-first SmartLoad technology includes automatic attachment recognition, a load management information system and a load stability indicator. 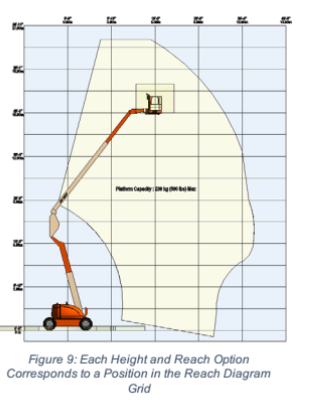 The automatic attachment recognition allows a telehandler to identify an attachment and display the appropriate load chart to the operator. 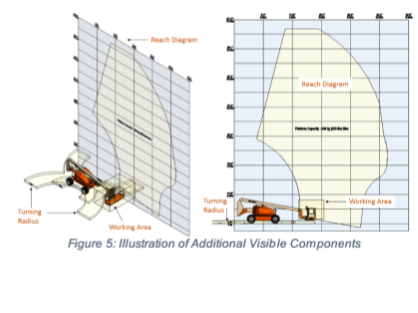 The load management information system (LMIS) graphically depicts the location of the load within the load chart and assists the operator in navigating the boundaries of the chart. Finally, the load stability indicator (LSI) works in conjunction with the LMIS to limit operation when a load becomes non-compliant. SmartLoad technology can also save you from paying costly repairs if the machine is damaged due to being overloaded. Currently available for its 1644 and 1732 high capacity telehandlers, SmartLoad Technology will be available as an option on all JLG telehandlers over the next 12 months. Microsoft has a new initiative to help get broadband to 3 million people in rural areas in by 2022, it’s called Microsoft Airband Initiative. This initiative uses TV white spaces technology combined with 4G, and “…traditional fiber-based connectivity, and satellite coverage to dramatically reduce the cost and time of extending broadband access to rural communities across America,” according to Microsoft. According to a recent study, “96% of contractors and 70% of trade contractors report that site superintendents use mobile devices on work sites.” However, as you know many work sites are in areas with low or no connectivity, so we imagine that as this technology takes hold across the country it will make your job easier, more efficient, and safer. California is one of the states is one of the states included in the initiative, with two startup companies, Tribal Digital Village and Numbers4Health awarded Airband Grant Fund dollars. Indiana, Mississippi, Oklahoma, and West Virginia are also included bringing the total to 25 states served by this time next year. Increased operational costs due to unexpected repairs and operator error along with machine downtime and poor utilization can greatly increase your total cost of ownership. Know when to replace a damaged foam or pneumatic tire. It happens but keeping an eye on your tires and replacing them immediately when damaged, will maximize your machine uptime and improve job safety. Avoid ruining sophisticated electronics when pressure washing. This will keep your machine out of the service department for costly repairs. According to JLG, knowing when to replace a damaged tire is one of their most frequently asked questions. The following guideline will help. Pneumatic tires: If there are any cuts, rips or tears that expose sidewall or tread area cords in the tire, remove the tire from service immediately. Arrangements must be made for replacement of the tire or tire assembly. If a tire is damaged but is within the above noted criteria, the tire must be inspected daily to ensure the damage has not expanded beyond the allowable criteria. 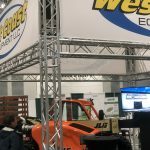 At West Coast Equipment we’re always on top of the latest equipment and upgrades. In fact, there’s no better time to buy. These tires are designed specifically for telehandlers and feature excellent wearing characteristics, while protecting sensitive surfaces from unwanted markings. The new tires are available as air- or foam-filled and come with a center bar for better wear performance on abrasive surfaces. A non-directional tread means fewer assembly combinations and reduces carrying costs. Additional features include a reinforced carcass to help protect from base lug cracking or shadowing, as well as a reinforced sidewall to protect from impact or puncture damage. The 30-by-36-inch platform is available as an aftermarket purchase or on new whole goods orders. The JLG 3’ platform is ideal for a variety of applications including construction or repair of bridges. It allows for more precise navigation between the steel and concrete support structures. Additionally, the platform enables access to many applications notorious for challenging access such as those found in petrochemical plants or refineries, cogeneration facilities, stadiums, convention centers, or between spires in a chapel. As with most JLG boom platforms, this product comes standard with JLG’s popular SkyGuard® enhanced control panel protection system. As a premiere full-service authorized dealer of JLG and Skytrak equipment we always have the latest news and upgrades available to our customers. 2. JLG introduces a new Fork-Mounted Extendable Truss Attachment. The attachment is ideal for metal building erection, setting wooden trusses and putting up post-frame buildings in addition to more “low-rise” applications. It is designed to accommodate a maximum fork size of 2.36 x 7 x 72 inches. 3. 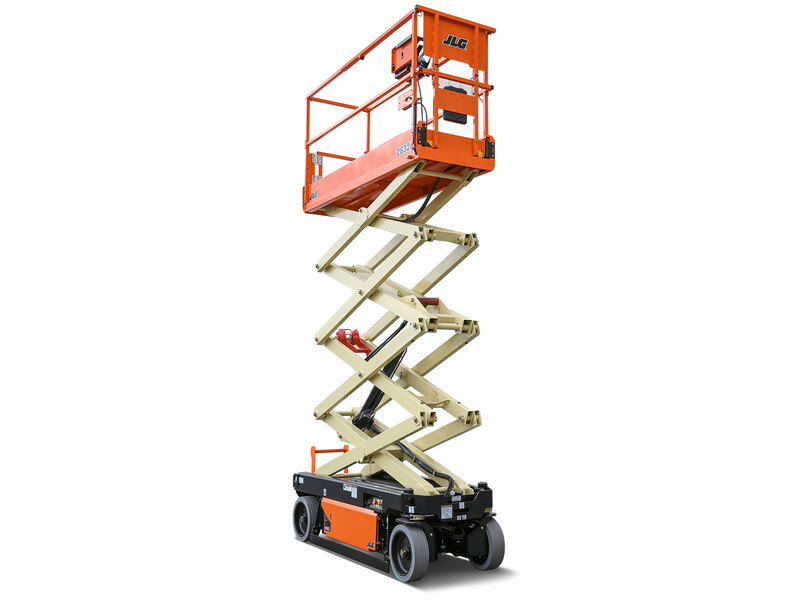 JLG has updated it’s LRT series of rough terrain scissor lifts. These model year upgrades are designed to improve the efficiency and operability of these rough terrain scissor lifts. These upgrades will help you get the job done faster, safer, and at a lower cost. The upgraded series offers refined platform control joystick operation for smoother and more precise machine repositioning. In addition, control system upgrades provide the system with feedback to improve drive control proportionality. Left and right steer functions now receive renewed digital inputs to ensure a higher level of functionality and improved response for the operator. Leveling jack performance has been improved to deliver more accuracy and quicker leveling speeds. The leveling jack interface is enhanced by integrating a dedicated leveling function within the current lift/drive switch. 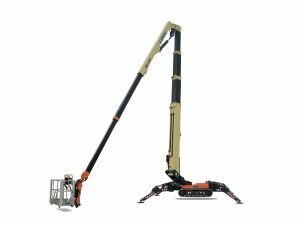 The updated 530LRT model will utilize proportional lift valves for the upper and lower lift cylinders, providing a smooth, controlled proportional ascent and descent. The upgrades also include smoother lift-up and lift-down operation. In addition to their ability to support larger loads, the LRT series scissor lifts offer excellent gradeability and maneuverability while traversing rough terrain. These types of scissors typically offer 2-3 times the capacity and 3-5 times the platform space of boom lifts. LRT series scissor lifts have been designed with service and uptime in mind. Steel hoods protect components while providing full access for inspections and service. The complete lineup is powered by Tier 4 Final diesel engines, which do not require the serviceable emissions technology found in larger engine systems. All machine calibrations can now be performed from the stowed position with a single click of the analyzer, and the refined elevation sensor calibration no longer requires recalibration after a software update. All software updates will also improve the customer experience with the upcoming A92.20 compliance. Additionally, all LRT models are now calibrated with the same procedure, which has been simplified to improve serviceability. This new functionality will help customers optimize machine uptime. 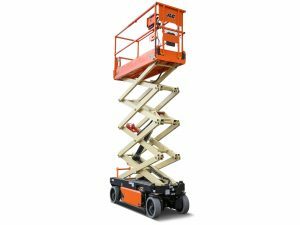 Additional features include a 60-degree swing-out engine tray for enhanced access and fold-down ladder and swing-out tray for easier access to engine and hydraulics. And operation and control layouts are the same in the entire line for ease of training and operation. The 530LRT now has the same hood and ladder design as the 330LRT and the 430LRT, and the entire series is equipped with new mufflers, lowering the sound level by 5 percent. Engine noise and vibration levels are reduced by engine isolators and improved door bumper locations. The angle tilt sensor is relocated and rerouted, so it’s less prone to damage as the scissor arms move. Tony is an expert in parts, service, product support, and equipment sales. He is also a JLG certified AWP and Telehandler operator trainer. He is hardworking, helpful, conscientious and always puts the customer needs first. 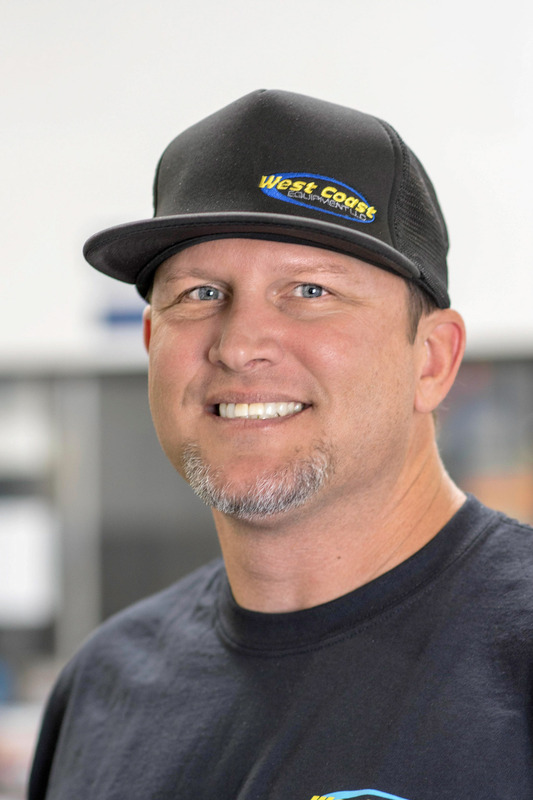 There’s no competition when it comes to having a great team of dedicated professionals here at West Coast Equipment. Great employees have given us a competitive advantage since we opened in 1984.